Dehradun, Sep 15 (IANS) President Ram Nath Kovind, Vice President M. Venkaiah Naidu, Prime Minister Narendra Modi and BJP chief Amit Shah will visit Uttarakhand between September 19 and October 5, officials said on Friday. Kovind’s visit has been tentatively fixed for September 23. Naidu will visit Uttarakhand on October 3. Modi will undertake a one-day visit on October 5 to participate in a function at the Lal Bahadur Shastri National Academy of Administration at Mussorie. Bharatiya Janata Party (BJP) President Amit Shah is scheduled to arrive in Uttarakhand on September 19. Chief Minister Trivendra Singh Rawat has held a series of meetings with high-level officials ahead of the high-profile visits. 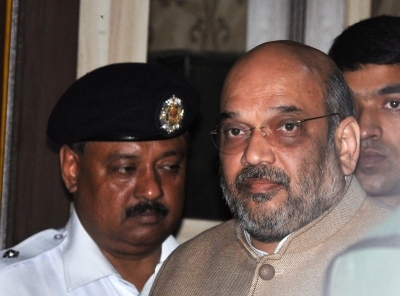 Shah will take stock of party affairs in the state after its landslide win in the March assembly elections and oversee coordination between the Uttarakhand BJP unit and the state government, a BJP leader told IANS.